This content is provided by Paul D Tropp. 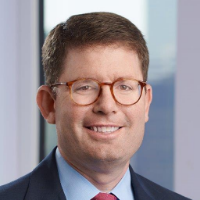 Capital markets attorney Paul Tropp is a partner in Ropes & Gray’s securities & public companies group in New York. He represents issuers and underwriters in a wide range of corporate finance transactions, including initial and follow-on public offerings; transactions involving convertible, high-yield and investment-grade bonds; debt tenders and consents; private placements; and selling-shareholder deals. In addition, Paul advises independent boards of directors and financial advisors. Paul’s practice has a particular focus on specialty finance enterprises such as special purpose acquisition companies (SPACs), business development companies (BDCs) and mortgage REITs, as well as asset managers. Paul received his JD from New York University School of Law and his BA from Harvard University.